Someone could innocently pass a check, have it bounce, and end up having criminal charges filed against them. Normally, businesses display small signs saying “All insufficient checks are reported to the district attorney’s office.” Passing a bad check is charged under California Penal Code 476a pc making it a crime for someone to convey a check harboring the intent to defraud while knowing there are insufficient to cover the amount. This charge is a wobbler which means the government may elect to charge you with either a felony or misdemeanor. However, just because a check bounced does not mean you’re guilty of a crime. Additionally, the government’s burden of proving your state of mind (intent to defraud and knowledge) is extremely challenging unless you gave an incriminating statement to law enforcement investigators. Thus, if you’re under investigation for passing a bad check, decline giving a statement to police and contact an Orange County Criminal Defense Lawyer right away. If one of your checks bounces, an offer of payment or even actual payment is not a defense. However, if restitution is made prior to you being charged, then that will serve a mitigating factor with respect to punishment. Early intervention by an Orange County Criminal Defense Attorney could mean the difference of having charges filed against you, consequently having jail time exposure, or having the case rejected completely. 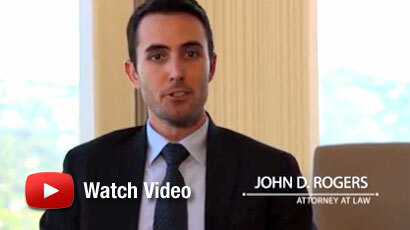 When appropriate, the Law Offices of John D. Rogers will contact the prosecuting agency and submit a mitigation package consisting of character letters, witness statements, or additional evidence in an effort to prevent charges from being filed against you or in the alternative, having less severe charges filed. Additionally, Mr. Rogers will be your point of contact with law enforcement to ensure that you do not make an admission of incriminating statement. Furthermore, with the passage of time, critical evidence in your favor could become lost, or destroyed which is why Mr. Rogers will submitted notices to individuals and business demanding that they preserve evidence. Criminal charges are not only embarrassing but could adversely affect your ability to remain employed. The best approach when facing criminal accusations is to retain counsel at the earliest stages of the case. Our office handles all check related charges in Orange County, Los Angeles, Ventura, Riverside, and San Bernardino counties. The person knew of the insufficiency when they drew, made, uttered or delivered the check. As a general rule, you cannot be convicted of issuing a check without sufficient funds where you inform the payee at the time of delivery that you do not have sufficient funds for payment of the instrument. The rational under this defense is that you did not harbor the presumption of knowledge and fraudulent intent on part of the drawer based on the mere fact the check is post-dated. In other words, you conveyed the check expressing that the check would be collectable upon the date of the check or thereafter. Normally, a conviction for this offense cannot be obtained if the drawer of the check can show that he or she had a reasonable expectation that the check would be paid as a result of the drawer’s arrangements or understandings with the lending institution. Perhaps your account was equipped with over-draft protection to accommodate the amount exceeding your available account balance. If so, then you never intended to defraud the recipient because you reasonably believed your bank would cover the excessive amount where you had expectation to pay back the amount to lending institution later on. If you disclosed a lack of sufficient funds to cover the check amount to the recipient at the time of issuing the check, then the law will recognize you did not have the intent to defraud the recipient even if you knew there were insufficient funds. Similar to conveying a post-dated check, this defense negates the necessary fraud element since you gave the recipient advanced notice when you conveyed the check. For instance, writing a check amount and delivering to the recipient and telling them that the check will not be good until next week. To better prepare your defense, you will need to turn over text message exchanges, emails, phone call details, and any other correspondence with the receipt to your attorney to help prove you gave them advanced notice. Demonstrating that you harbored knowledge is an essential element for this offense. It’s not presumed that because there were insufficient funds in the account, you had knowledge. In most cases, the government uses your incriminating statements to police to help prove you had knowledge of your insufficient balance. But negating the knowledge element could be based on clerical error, over-draft protection as noted above, miscalculation of your account balance, etc. Additionally for example, you could have been paid by someone else and you reasonably believed the check you deposited was collectible hence the reason you conveyed a check to the payee for a certain amount, all to discover that the check you originally deposited bounced. A mistaken belief, mathematical or accounting error may serve as a viable defense to this charge because it demonstrates that you did not act with the willful means of defrauding the recipient of the check. Instead, you were acting in good-faith but innocently erred which resulted in the check bouncing. The law will not punish someone and subject them to criminal liability if they did not harbor the intent to defraud or act with knowledge of insufficient funds. The most damaging evidence against you is your own statements conveyed to police officers when investigating you for this offense. As noted above, proving your state of mind is extremely challenging absent a confession on your part. In the event you do make an incriminating statement, the legal admissibility concerning your statements should be carefully examined for a Miranda violation. Contrary to popular belief, police need not always admonish you of your Miranda Rights. The law states that law enforcement need only admonish you if you were in custody and subjected to custodial interrogation. If your statements were garnered as a result of a Miranda violation, the court will order your statements suppressed preventing the government from using them against you. In that instance, it may not result in a complete case dismissal, however, it may make the government’s case that more burdensome in proving your guilt beyond a reasonable doubt. 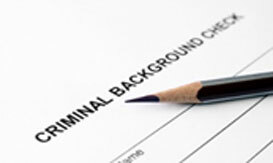 Passing a bad check is punishable as either a felony or misdemeanor. A misdemeanor conviction carries up to one (1) year in the county jail whereas a felony conviction carries up to three (3) years in the county jail. Additionally, the court will impose restitution to cover the recipient’s loss. Furthermore, this is a crime of moral turpitude, subjecting you to adverse effects on your immigration status, state licensing, or employment. However, if this was your first offense, then you may be eligible for alternative sentencing, otherwise known as deferred entry judgement (“DEJ”). This prevents a formal sentence imposed subject to your completion of fine payments, counseling classes, and community service. By completing your obligations, the court will dismiss your case after 12 or 18 months. EXAMPLE 1: In People v. Pugh (2002) 104 Cal.App.4th 66, the appellate court held that there was sufficient evidence to support a conviction under PC 476a(a) of the “utterance” theory when the defendant told a party to resubmit a check for payment without informing the party of insufficient funds, knowing that expected windfall was not forthcoming. EXAMPLE 2: Passing a worthless check where the funds are uncollectable either by insufficient funds or a closed bank account but telling the recipient not to cash the check at a later point when the account re-opens. In this case, you did not commit this crime because you informed the recipient of the lack of funds and therefore did not harbor the intent to defraud the payee. EXAMPLE 3: After having contracting work done on your home, you pass a check to the contractor informing him that the check is cashable. Upon your express representation, the contractor deposits the check where it bounces. Little did you know, your paycheck from work bounced without your knowledge thereby not crediting your account to cover the construction amount. In this case, your defense attorney will claim that you did not have sufficient knowledge or intent to defraud since you reasonably believed the check paid to you by your employer would be valid and collectable. Conveying a worthless check is eligible for expungement so long as your conviction did not result in you being sentenced to state prison. Other important facts include whether you paid back the restitution amount and whether you suffered from any probation violations. In the event you’re eligible, the court, upon proper petition, will withdraw its finding of guilt, enter a not guilty plea, and dismiss the conviction under PC 1203.4. From that moment forward, you will be released from all disabilities and penalties resulting from your conviction. Importantly, this post-conviction remedy carries considerable benefits if you’re seeking employment in the private sector. Additionally, you may be eligible to reduce your conviction to a misdemeanor under PC 17(b) under the same reasons stated above since this offense is a wobbler. If the judge grants your reduction motion, the felony will be reduced to a misdemeanor for all purposes and from that point forward, you will not have to disclose that you’ve previously been convicted of a felony. Furthermore, reduction also carries a full restoration of your right to own a firearm. 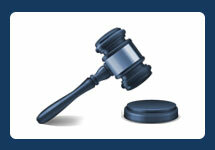 For more information, contact the Law Offices of John D. Rogers. If you’ve been arrested, charged, or are under investigation for passing a bad check under Penal Code 476a pc, contact an experienced Orange County Criminal Defense Attorney at the Law Offices of John D. Rogers for a free confidential consultation concerning your rights and defenses. Penal Code 476a: (a) Any person who, for himself or herself, as the agent or representative of another, or as an officer of a corporation, willfully, with intent to defraud, makes or draws or utters or delivers a check, draft, or order upon a bank or depositary, a person, a firm, or a corporation, for the payment of money, knowing at the time of that making, drawing, uttering, or delivering that the maker or drawer or the corporation has not sufficient funds in, or credit with the bank or depositary, person, firm, or corporation, for the payment of that check, draft, or order and all other checks, drafts, or orders upon funds then outstanding, in full upon its presentation, although no express representation is made with reference thereto, is punishable by imprisonment in a county jail for not more than one year, or pursuant to subdivision (h) of Section 1170. (b) However, if the total amount of all checks, drafts, or orders that the defendant is charged with and convicted of making, drawing, or uttering does not exceed nine hundred fifty dollars ($950), the offense is punishable only by imprisonment in the county jail for not more than one year, except that such person may instead be punished pursuant to subdivision (h) of Section 1170 if that person has one or more prior convictions for an offense specified in clause (iv) of subparagraph (C) of paragraph (2) of subdivision (e) of Section 667 or for an offense requiring registration pursuant to subdivision (c) of Section 290. This subdivision shall not be applicable if the defendant has previously been convicted of three or more violations of Section 470, 475, or 476, or of this section, or of the crime of petty theft in a case in which defendant’s offense was a violation also of Section 470, 475, or 476 or of this section or if the defendant has previously been convicted of any offense under the laws of any other state or of the United States which, if committed in this state, would have been punishable as a violation of Section 470, 475 or 476 or of this section or if he has been so convicted of the crime of petty theft in a case in which, if defendant’s offense had been committed in this state, it would have been a violation also of Section 470, 475, or 476, or of this section. See People v. Weaver (1928) 96 Cal.App. 1. See People v. Poyet (1972) 6 Cal.3d 530. See Miranda v. Arizona (1966) 384 U.S. 436. Under California’s Realignment, a state prison sentence for this offense will be served locally in the county jail pursuant to Penal Code 1170, subdivision (h). Deferred Entry of Judgment “DEJ” referring to Penal Code 1001.94 or California Proposition 1000. Penal Code 1203.4 (a)(1) In any case in which a defendant has fulfilled the conditions of probation for the entire period of probation, or has been discharged prior to the termination of the period of probation, or in any other case in which a court, in its discretion and the interests of justice, determines that a defendant should be granted the relief available under this section, the defendant shall, at any time after the termination of the period of probation, if he or she is not then serving a sentence for any offense, on probation for any offense, or charged with the commission of any offense, be permitted by the court to withdraw his or her plea of guilty or plea of nolo contendere and enter a plea of not guilty; or, if he or she has been convicted after a plea of not guilty, the court shall set aside the verdict of guilty; and, in either case, the court shall thereupon dismiss the accusations or information against the defendant and except as noted below, he or she shall thereafter be released from all penalties and disabilities resulting from the offense of which he or she has been convicted, except as provided in Section 13555 of the Vehicle Code. The probationer shall be informed, in his or her probation papers, of this right and privilege and his or her right, if any, to petition for a certificate of rehabilitation and pardon. The probationer may make the application and change of plea in person or by attorney, or by the probation officer authorized in writing. However, in any subsequent prosecution of the defendant for any other offense, the prior conviction may be pleaded and proved and shall have the same effect as if probation had not been granted or the accusation or information dismissed. The order shall state, and the probationer shall be informed, that the order does not relieve him or her of the obligation to disclose the conviction in response to any direct question contained in any questionnaire or application for public office, for licensure by any state or local agency, or for contracting with the California State Lottery Commission. 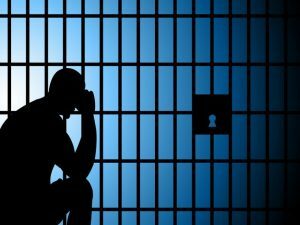 (1) After a judgment imposing a punishment other than imprisonment in the state prison or imprisonment in a county jail under the provisions of subdivision (h) of Section 1170. (2) When the court, upon committing the defendant to the Division of Juvenile Justice, designates the offense to be a misdemeanor. (3) When the court grants probation to a defendant without imposition of sentence and at the time of granting probation, or on application of the defendant or probation officer thereafter, the court declares the offense to be a misdemeanor. (4) When the prosecuting attorney files in a court having jurisdiction over misdemeanor offenses a complaint specifying that the offense is a misdemeanor, unless the defendant at the time of his or her arraignment or plea objects to the offense being made a misdemeanor, in which event the complaint shall be amended to charge the felony and the case shall proceed on the felony complaint. Lawyer Online Marketing 405 Ads Inc.